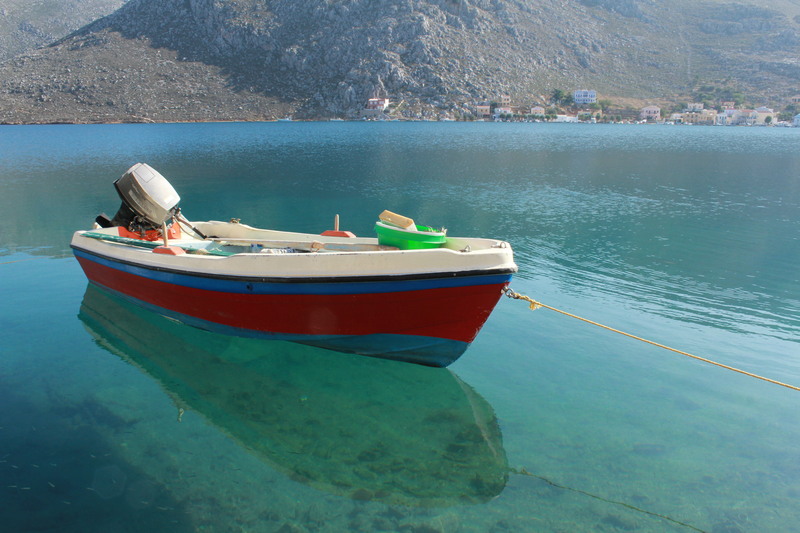 I´ve moved to Symi Island in Greece for the winter. As you can see it´s a very colourful place. 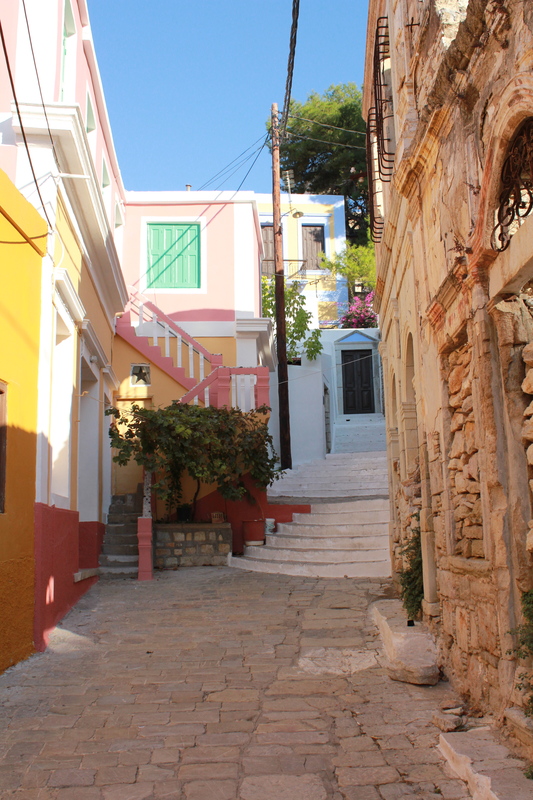 Walking down the narrow lanes looking at houses painted with happy colours or lifting my eyes to the view of the ocean overwhelms me … deeply. I live in a beautiful house. It´s white with lavender shutters. It has an outdoor kitchen and bathroom. And I love it. Getting up early in the morning, putting on a warm sweater and standing outside stirring the pot with steaming oatmeal. The constant view of the ocean and the ships that come and go. Washing the dishes with a ray of sun coming through the vine and a breeze caressing my cheek. And of course getting up in the middle of the night to go to the bathroom, crossing the terrace and looking up to the dark nightsky and stop momentarily to gaze at the stars. Somehow this makes me feel at home – alive. Living such a big part of the day outside in all kinds of weather. It makes my soul rejoice. Yes it will probably get cold at some point and yes it will rain, but I´m feeling optimistic and today we put up a big white sail over the kitchen so that we can walk from the house to the bathroom without getting wet. This is just the kind of thing I’ve been rummaging for! Excellent and cheers! You are currently reading Surrounded by colours at Thinking out Loud.